Selectman James Walsh has put the spotlight on the lease between the town and the Fairfield Theatre Co.
Selectman James Walsh is spotlighting the lease between the town and the Fairfield Theatre Co. for the space the entertainment nonprofit has leased at 70 Sanford St. since 2002. $1 million. "How can they only be paying us $40,000?" Walsh told the Fairfield Citizen last week. "From what I understand, the town has to beg for them to pay us any money." Under the $1-a-year lease, the FTC is required to pay the town $2 for every ticket sold. Those payments are to be made on a quarterly basis, and if the total amount of the ticket surcharge during a fiscal year is not equal to what the real-estate tax levy on the building would be during that year, FTC is obligated to pay additional rent to make up the difference between the surcharge and the tax figure within 60 days after the end of the fiscal year. At a recent meeting on the 2012-13 budget, Walsh first raised questions about the FTC lease of the downtown building, and the expense to the town for the utilities and maintenance of the building. At that time, Fiscal Officer Paul Hiller indicated the surcharges had been paid by FTC through June 30, 2011. Last Wednesday morning, the town's finance office received a check for $15,926, covering the surcharge period of July through December 2011, which brought FTC up to date on ticket payments for the current fiscal year. The next quarterly payment is due at the end of March. According to town records, FTC paid $38,651 to the town during fiscal year 2010-11, which ended last June 30. The real-estate tax levy for the Sanford Street property that fiscal year, according to Assessor Donald Ross, would have been $27,669. In order to not have to pay anything to the town in addition to the ticket surcharge for the current fiscal year, FTC will need to pay the town more than $40,535 -- reflecting a higher tax assessed value for the property -- by June 30. "What other expenses do we have there?" Walsh said. "I heard we had to put a new roof on a few years ago." 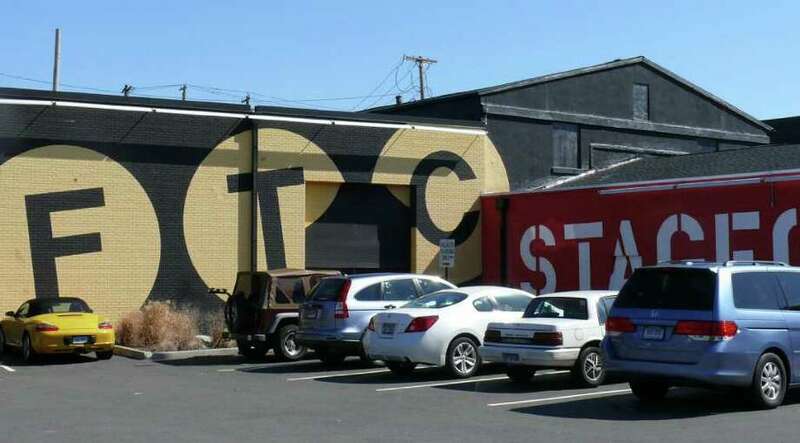 He said he has nothing against the FTC as organization, nor is he looking to kick the group out of the building, but thinks it is time to take a closer look at the expenses and the revenue generated by the property. The Finance Department is in the process of compiling all the building-related expenses paid by the town back to 2009. John Reid was hired as the producing artistic director at FTC about six weeks ago, replacing Miles Marek. "When I came on board, I quickly began to familiarize myself with the organization's operations, programs, facilities, staff, and related matters, including financials," Reid told the Fairfield Citizen last week. "When I became aware that the payment to the town was past due, with the board's permission, I instructed our accountant to bring us up to date on the payment, which they have done." Reid said that in the future he plans to review FTC's financial data on a regular basis to help ensure payments stay current. "We greatly value our relationship with the town and the community," he said. "We will do our utmost to be effective partners as we all work together to continue to make art and culture a vibrant force in downtown Fairfield." According to Brad Purcell, chairman of the board of directors for the FTC, the nonprofit organization uses a full-time independent accounting firm and is audited each year by an independent auditor. The town acquired the building, built as a factory in 1900, for $970,000 in 1994. For a time, it housed the Recreation Department offices and its fitness center. A portion of the building, most recently sublet by the FTC to the now-defunct Fairfield Arts Council, was also used for a time as temporary space for the Fairfield Public Library. The 20,504-square-foot building is assessed at $1,803,970 and appraised at $2,577,100. According to lease, first entered into in 2002, after 2005 should the FTC be unable to sell 10,000 tickets per year average over a two-year period, the town has to right to terminate the lease. Attached to the lease is a list of repairs and renovations that were to be done by the FTC, including roof repairs. In addition, the lease states that the FTC "shall undertake all building repairs and maintenance, beyond those set out in Exhibit C, that are required, in the reasonable opinion of the lessor." The town, meanwhile, is required to maintain sidewalks, landscaping and the parking lot. While the FTC began with a mixed slate of theatrical productions and concerts, it now almost exclusively stages concerts because of the higher cost of theater.